Millions of people all over the world suffer from rheumatism, a common auto-immune disorder that causes chronic joint and muscle pains. Although CBD has shown therapeutic potential for the treatment of many health conditions, there is little research about using it for rheumatism. Find out about the latest in using CBD for treating rheumatism. Rheumatism (also called rheumatoid arthritis or just arthritis) describes a health condition that is characterized by chronic inflammation with stiff and painful joints, tissues and muscles. It is estimated that more than 50 million adults in the US suffer from the disease alone. The causes for rheumatism can be many: the symptoms can appear with advanced age or as a result of wear and tear on the body. Rheumatism is sometimes also the result of immune system deficiencies. Unfortunately, there is no real cure for rheumatism. People who suffer from it are usually being treated to reduce the symptomatic pains and the underlying inflammation. With numerous therapeutic uses of cannabis gaining more traction, the question comes up whether the active compounds in cannabis can also help with rheumatism. We want to take a look at the latest research in regards to using CBD for rheumatism. But before we do that, we want to explain what rheumatism is. Rheumatism (or arthritis, both are essentially the same) belongs to the large group of autoimmune diseases. Just as is the case with multiple sclerosis, psoriasis, inflammatory bowel disease, lupus and many more conditions, it is a disorder of the body’s immune system. What happens is that the immune system, for some reason, becomes over-active and attacks healthy cells in the body by mistake. The result is a permanent inflammation in the body resulting in pains and other symptoms. If someone suffers from rheumatism, the aches and the stiffness of the joints can make even everyday tasks such as driving, preparing meals, or dressing difficult. A lot has been written recently about the many potential therapeutic uses of the THC and CBD. It is known for quite some time that cannabinoids interact with the body’s endocannabinoid system, which regulates important bodily functions. This way, cannabis can affect our immune system responses, can alter pain perception and can regulate our appetite, sleep, and mood — just to name some of its effects on our body. The US Food and Drug Administration has just approved the first drug made with CBD from the cannabis plant for the treatment of epilepsy. What’s more, medicinal cannabis users all over the world are already using CBD products to find relief for pains and anxiety. Yet, when it comes to treating rheumatism with CBD, the studies on its effectiveness for this condition haven’t been as conclusive. This explains why some researchers are still wary about the use of CBD for rheumatism. She is also cautioning that there is“little scientific evidence for CBD’s effectiveness in reducing pain in rheumatic individuals”. On a positive note, she is acknowledging that cannabis does reduce pain in other health conditions that have a different underlying mechanism than rheumatoid arthritis. A previous study in the Journal of Opioid Management from 2009 finds that 80 percent of medicinal marijuana patients use cannabis to treat myofascial pain. With rheumatoid arthritis, this type of pain is also a chronic pain disorder that affects muscles and joints. Today, doctors are not shying away from prescribing opioids, steroid injections and similar treatments to sufferers of rheumatoid arthritis. While some of these drugs may provide a certain level of relief for patients, so do they come with their own, sometimes significant drawbacks. The chronic use of strong medications such as opioids poses significant health risks including addiction and overdose. Many of these pharmaceuticals also have severe side effects, which can include liver, kidney and bone damage, as well as other unwanted effects such as weight gain or stomach irritation. Furthermore, as patients are treated with these drugs, their bodies will adapt to them over time so that they will require higher doses for their pain relief. This will exacerbate the side effects even more. What makes CBD an attractive alternative is that it can potentially provide relief without any of these negative effects. 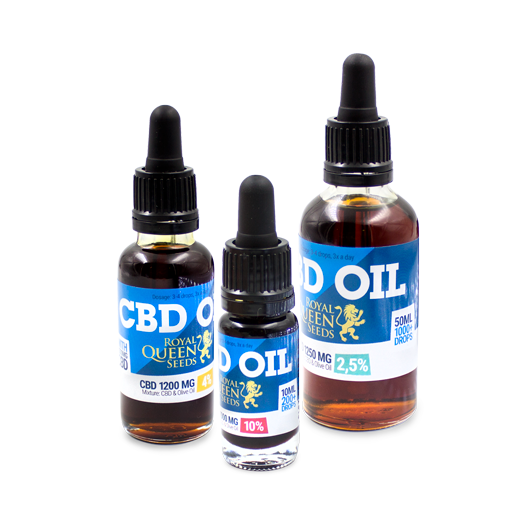 To date, there is no indication that CBD, even when taken in higher doses, has any significant negative drawbacks. As such, more research is urgently needed into the effects of CBD on rheumatoid arthritis, as the evidence currently gathered is equally for and against. The immunosuppressive properties of cannabinoids, as well as their ability to decrease inflammation, both factors which play a role in autoimmune disorders such as arthritis, have been known for some time. Two years ago, Greg Gerdeman, assistant professor of Biology at Eckerd College in St. Petersburg, spoke at the Annual Meeting of the Congress of Clinical Rheumatology. According to him, cannabinoids show a lot of preclinical promise because of the importance of the endocannabinoid system in regulating inflammation and immune response. “In general, there is a great deal of preclinical research supporting that cannabinoids are generally immunosuppressive, they dampen down inflammation for example in situations of brain injury or stroke but also in the case of rheumatic diseases like rheumatoid arthritis”, he said at the meeting. In other words, the vast amount of anecdotal evidence for the effectiveness of medicinal marijuana must turn into reliable clinical data.